I have really enjoyed collecting links to share with everyone. Here’s a fresh batch I gathered up this week while you were wondering what that shaking was and getting back in the swing of things. Earthquake humor – Did you feel it? I didn’t. I am sad that I missed it and happy to be able to joke about it. These are some funny tweets that went out after the earthquake. Parental Guidance – I think I was born a mom. 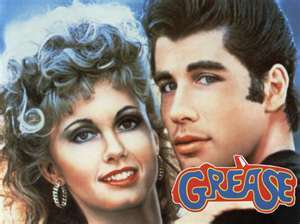 While my friends were singing along to Grease, I was watching and thinking how wrong the whole ending was. I believe in the beauty of having a shared pop culture with your kids and watching classic movies can be a big part of that. Just be sure to do your job and point out some of the seriously flawed messages found in all the fun. Be sure to click on page two to see all the bad movie messages, some of which never occurred to me. 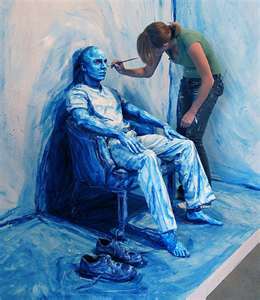 Alexa Meade – In this age of instant press for any new idea, seeing something truly new is getting very rare. This artwork was entirely new to me and I love that it was created with the same tools that were always available. All that was needed was the creativity and skill to change things up in a big way. This entry was posted in Friday link-sharing feature and tagged aborting one twin, abortion, alexa meade, bad movie messages, earthquake, earthquake humor, elective reductions, new art by lookmom. Bookmark the permalink.